There is a simple principle for professional success; to earn more you need to learn more. Education, especially quality education, requires a certain amount of investment. The rising tuition fees have made higher education a costly affair for middle-class income groups. 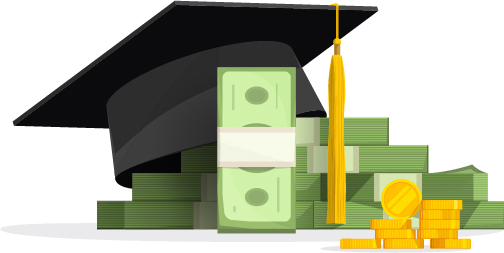 Education loans help students and career professionals in acquiring knowledge to boost their careers. Moreover, by opting for education loans, students show their readiness to own up the financial responsibilities for getting the skills that help them pursue their dream careers. Now, generally people apply for an education loan from a bank or non-banking financial company. The procedures, as we all know, are lengthy and require truckloads of paperwork and a number of verifications. Which is tiresome, and frankly, outdated, in today’s digitised environment. Peer-to-peer lending platforms offer a great alternative for people looking for simpler and faster loans. With a P2P lending company like Monexo, everything is minimum, except the repayment schedule. You need minimum documentation, get minimum interest rates*, and benefit from the minimum turn-around-time for loan approvals. When you apply for an education loan with a P2P lender, you are required to sign up for a free account on their platform. Once done, you can simply fill up the necessary details for the purpose of loan you are applying for, in this instance an education loan. The company will review and verify your information and documents and then offer you a loan quote, detailing the loan amount you are eligible for, the lowest interest rate you can get and the EMI schedule. After you accept the loan offer, the loan will be listed on the marketplace. Now, investors can fund your loan and you get the amount credited directly into the bank account. You can then apply for your preferred course or degree programme, simple. Applying for education loan is simpler with peer-to-peer lending companies like Monexo. You can sign-up and complete the loan application for pursuing your dream career within 5-minutes. Interest rates as low as 12.98% or EMI as low as ₹3,325 per lakh. 100% online process, apply from anywhere, anytime and get the funds in your account. Minimal processing charges when compared to banks and NBFC lenders. Quick turn-around-time, same day loan approval and listing on the P2P marketplace. Easy EMIs, repay in installments ranging from 6 months to 36 months. So, what are you waiting for? Apply for an education loan with Monexo now and get your personalised loan quote today. Apply for a monexo education loan now.